Avvo is changing what it means for consumers to find professional legal help. Every year millions of people seek professional legal assistance and Avvo has profiles for nearly all 1.3 million US registered lawyers on our platform. We’re looking for highly technical, growth-minded dev manager to help us connect people with the legal help they need. Avvo is looking for a User Experience Manager to lead the UX Design team. 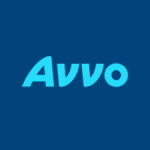 This role will provide UX team leadership and shape the design approach and direction for Avvo’s products and services for both consumers and attorneys. The UX Design team at Avvo exists to bring simplicity and clarity to the legal world. We are advocates of the user above all else. We empower people with the tools they need to solve their legal problems. Our UX group has strong support and influence within the product organization, so you will contribute directly to the future of Avvo’s products and services. We’re looking for someone who can provide leadership and direction for a team of UX designers, visual designers and content strategists. This person will help drive a user-centered design approach across the organization and within cross-functional product teams that include developers, product managers, and others to deliver products that meet real user needs. You should be comfortable with all types of work within the UX design process, with experience designing the full product lifecycle, from MVP through optimization. We’d love to meet you if you’re a committed, dependable leader who is energized by managing a team and mentoring people, thrives on fostering transparency, and can develop strong cross-functional relationships. Strong design experience including designing with site performance and mobile-first in mind as well as building and managing design systems. Experience partnering with UX researchers to identify opportunities for generative and evaluative studies. Ability to communicate complex ideas and designs clearly. Projects that show how you solve problems at every stage of the user-centered process, from research and early ideation through execution and optimization. Include at least one project that demonstrates your design skills and one project that showcases your people management skills. Strong storytelling and evidence of critical thinking, not just deliverables. Demonstration of UI and interaction design skills, with the ability to articulate rationale behind design decisions. Examples of how quantitative and qualitative data informed your design decisions. Expertise in mobile-first responsive web design. Avvo is a dog-friendly office! In addition to our awesome culture, we offer an AMAZING benefit package (we pay 100% of our employee premium costs and 50% of their dependents – plus 100% of your medical deductible), an ORCA card, up to three weeks of vacation your first year – and more! 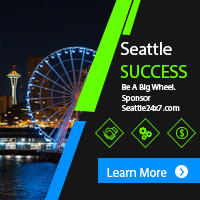 Avvo is centrally located in downtown Seattle just a few blocks away from the Westlake Center. 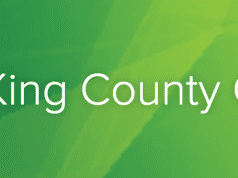 We are a key member of Seattle’s tech community.